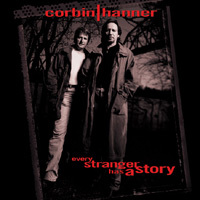 American Originals Records is proud to present CORBIN/HANNER, EVERY STRANGER HAS A STORY. After a half dozen albums and eight Top 10 Country hits, the duo has achieved another measure of success with this album. Kenny Rogers has sold more than 100 million records in a career destined for the Hall of Fame. Kenny liked the first track, She Rides Wild Horses, so much that it became the title track of his album. With Bob Corbin's song, Kenny had his highest album chart debut in 15 years up to that point. Meanwhile, Canadian music's JUNO Hall of Famer Anne Murray has chose Dave Hanner's, Lord, I Hope This Day Is Good, to open her new album, "WHAT A WONDERFUL WORLD". These two great singers/songwriters will touch your heart. This album takes everyday life and sets it to music. Every stranger does have a story. Listen to this record and you'll hear a few. Since the seventh grade Bob Corbin and Dave Hanner have been singing harmony together. In the 70's they formed Gravel and became one of western Pennsylvania's most popular bands. Mel Tillis signed them to his publishing company and recorded their song "Blind In Love," which became a Top Ten Country hit. Success continued with hits from The Oak Ridge Boys, Don Williams, George Jones, Anne Murray, Kenny Rogers, Hank Williams Jr. and Alabama. In the early 90's, they released two albums for Mercury Records in Nashville. Since then they've continued to write and perform. With response from their concerts and fan requests, they decided to go into the studio and record EVERY STRANGER HAS A STORY.